Explore the Peugeot new car model range. The network of Charles Hurst dealerships is the largest in Northern Ireland and one of the top ten in the UK. 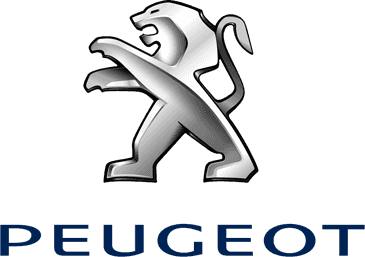 We are the authorised provider for renowned, award-winning manufacturers including prestigious French carmaker Peugeot. The brand has even presented us with Guild of Gold Lion dealer status, cementing our reputation as the best for customer service. You can find your next car, a replacement part and model-specific seasonal extras at our Belfast showroom. One of our specialists will be on hand to answer your queries, discuss your motoring needs and suggest the finest solutions. Every driver can find their perfect model within the incredible new range. Whether you desire the sporty & elegant 208, the compact 3008 SUV or the ultimate hatchback 308, we'll have the car for you. Many of them can also be chosen through the nationwide Motability Scheme with the adaptations to support disabled road users on their journeys. If you are seeking a model with more business capability, opt for a modern, robust Expert or practical Boxer van. Browse through the showroom without any pressure to make a quick decision, and arrange a test drive with us to help you decide. The choices that we offer you extend beyond the stunning new car and van ranges into our frequently updated, exceptional stock of approved used vehicles. We only add a model to the selection once it's been comprehensively tested, checked and verified, inside and out. Our support doesn't stop when you drive away. The service centre within our dealership is run by highly-qualified technicians, and we have the capacity to perform everything from minor scratch and dent repairs to extensive bodywork remodelling. For accident damage repairs, tyre fittings, MOTs, fluid top-ups and scheduled interval servicing, make an appointment with us. Genuine parts and accessories to fit each model precisely can also be purchased from our showroom stock. Not only will they enhance the design, functionality and performance of your Peugeot, they are built to last and effectively prolong the life of the vehicle.